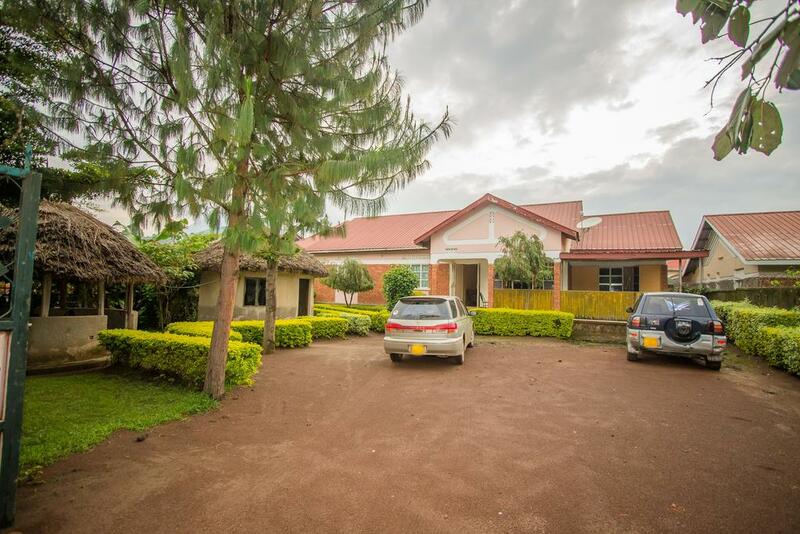 Muhabura motel is located in Kisoro close to St. Francis Hospital Mutolere. Muhabura Motel features a number of amenities including a garden and a bar. It is located within 1.5 km of small crater and has a 24-hour front desk that provides guests with a restaurant. Muhabura Motel offers 4 forms of accommodation. This accommodation offers separate living rooms. Kitchens offer microwaves and separate dining areas. Bathrooms include a separate bath and shower. Guests can surf the web using complimentary wireless Internet access. Cable televisions are provided. At the motel, every room comes with a desk and a TV. The private bathroom is equipped with a shower and free toiletries. Regional attractions also include Mgahinga Gorilla National Park and Volcanoes National Park. Free breakfast is served. Public spaces have free WiFi and Self parking is also free. Smoking is allowed in designated areas at the hotel. More so, Children are welcome but extra beds are not available. Extra-person charges may apply and vary depending on property policy. One should know that pets are highly forbidden at Muhabura Motel.